The Special Operations Executive (SOE) was a British World War II organisation. It was officially formed on 22 July 1940 under Minister of Economic Warfare Hugh Dalton, from the amalgamation of three existing secret organisations. Its purpose was to conduct espionage, sabotage and reconnaissance in occupied Europe (and later, also in occupied Southeast Asia) against the Axis powers, and to aid local resistance movements. Few people were aware of SOE's existence. Those who were part of it or liaised with it were sometimes referred to as the "Baker Street Irregulars", after the location of its London headquarters. It was also known as "Churchill's Secret Army" or the "Ministry of Ungentlemanly Warfare". Its various branches, and sometimes the organisation as a whole, were concealed for security purposes behind names such as the "Joint Technical Board" or the "Inter-Service Research Bureau", or fictitious branches of the Air Ministry, Admiralty or War Office. SOE operated in all territories occupied or attacked by the Axis forces, except where demarcation lines were agreed with Britain's principal Allies (the United States and the Soviet Union). It also made use of neutral territory on occasion, or made plans and preparations in case neutral countries were attacked by the Axis. The organisation directly employed or controlled more than 13,000 people, about 3,200 of whom were women. After the war, the organisation was officially dissolved on 15 January 1946. A memorial to SOE's agents was unveiled in October 2009 on the Albert Embankment by Lambeth Palace in London. The organisation was formed from the merger of three existing secret departments, which had been formed shortly before the outbreak of the Second World War. Immediately after Germany annexed Austria (the Anschluss) in March 1938, the Foreign Office created a propaganda organisation known as Department EH (after Electra House, its headquarters), run by Canadian newspaper magnate Sir Campbell Stuart. Later that month, the Secret Intelligence Service (SIS, also known as MI6) formed a section known as Section D, under Major Lawrence Grand RE, to investigate the use of sabotage, propaganda, and other irregular means to weaken an enemy. In the autumn of the same year, the War Office expanded an existing research department known as GS (R) and appointed Major J. C. Holland RE as its head to conduct research into guerrilla warfare. GS (R) was renamed MI(R) in early 1939. These three departments worked with few resources until the outbreak of war. There was much overlap between their activities. Section D and EH duplicated much of each other's work. On the other hand, the heads of Section D and MI(R) knew each other and shared information. They agreed to a rough division of their activities; MI(R) researched irregular operations that could be undertaken by regular uniformed troops, while Section D dealt with truly undercover work. During the early months of the war, Section D was based first at St Ermin's Hotel in Westminster and then the Metropole Hotel near Trafalgar Square. The Section attempted unsuccessfully to sabotage deliveries of vital strategic materials to Germany from neutral countries by mining the Iron Gate on the River Danube. MI(R) meanwhile produced pamphlets and technical handbooks for guerrilla leaders. MI(R) was also involved in the formation of the Independent Companies, autonomous units intended to carry out sabotage and guerrilla operations behind enemy lines in the Norwegian Campaign, and the Auxiliary Units, stay-behind commando units based on the Home Guard which would act in the event of an Axis invasion of Britain, as seemed possible in the early years of the war. On 13 June 1940, at the instigation of newly appointed Prime Minister Winston Churchill, Lord Hankey (who held the Cabinet post of Chancellor of the Duchy of Lancaster) persuaded Section D and MI(R) that their operations should be coordinated. On 1 July, a Cabinet level meeting arranged the formation of a single sabotage organisation. On 16 July, Hugh Dalton, the Minister of Economic Warfare, was appointed to take political responsibility for the new organisation, which was formally created on 22 July 1940. Dalton recorded in his diary that on that day the War Cabinet agreed to his new duties and that Churchill had told him, "And now go and set Europe ablaze." Dalton used the Irish Republican Army (IRA) during the Irish War of Independence as a model for the organisation. Sir Frank Nelson was nominated by SIS to be director of the new organisation, and a senior civil servant, Gladwyn Jebb, transferred from the Foreign Office to it, with the title of Chief Executive Officer. Campbell Stuart left the organisation, and the flamboyant Major Grand was returned to the regular army. At his own request, Major Holland also left to take up a regular appointment in the Royal Engineers. (Both Grand and Holland eventually attained the rank of Major-general.) However, Holland's former deputy at MI(R), Brigadier Colin Gubbins, returned from command of the Auxiliary Units to be Director of Operations of SOE. One department of MI(R), MI R(C), which was involved in the development of weapons for irregular warfare, was not formally integrated into SOE but became an independent body codenamed MD1. Directed by Major (later Lieutenant Colonel) Millis Jefferis, it was located at The Firs in Whitchurch and nicknamed "Churchill's Toyshop" from the Prime Minister's close interest in it and his enthusiastic support. The director of SOE was usually referred to by the initials "CD". Nelson, the first director to be appointed, was a former head of a trading firm in India, a back bench Conservative Member of Parliament and Consul in Basel, Switzerland. There he had also been engaged in undercover intelligence work. In February 1942 Dalton became President of the Board of Trade and was replaced as Minister of Economic Warfare by Lord Selborne. Selborne in turn retired Nelson, who had suffered ill health as a result of his hard work, and appointed Sir Charles Hambro, head of Hambros Bank, to replace him. He also transferred Jebb back to the Foreign Office. Hambro had been a close friend of Churchill before the war and had won the Military Cross in the First World War. He retained several other interests, for example remaining chairman of Hambros and a director of the Great Western Railway. Some of his subordinates and associates expressed reservations that these interests distracted him from his duties as director. Selborne and Hambro nevertheless cooperated closely until August 1943, when they fell out over the question of whether SOE should remain a separate body or co-ordinate its operations with those of the British Army in several theatres of war. Hambro felt that any loss of autonomy would cause a number of problems for SOE in the future. At the same time, Hambro was found to have failed to pass on vital information to Selborne. He was dismissed as director, and became head of a raw materials purchasing commission in Washington, D.C., which was involved in the exchange of nuclear information. As part of the subsequent closer ties between the Imperial General Staff and SOE (although SOE had no representation on the Chiefs of Staff Committee), Hambro's replacement as director from September 1943 was Gubbins, now a Major-general. Gubbins had wide experience of commando and clandestine operations and had played a major part in MI(R)'s and SOE's early operations. He also put into practice many of the lessons he learned from the IRA during the Irish War of Independence. The organisation of SOE continually evolved and changed during the war. Initially, it consisted of three broad departments: SO1, which dealt with propaganda; SO2 (Operations); and SO3 (Research). SO3 was quickly overloaded with paperwork and was merged into SO2. In August 1941, following quarrels between the Ministry of Economic Warfare and the Ministry of Information over their relative responsibilities, SO1 was removed from SOE and became an independent organisation, the Political Warfare Executive. Thereafter, a single, broad "Operations" department controlled the Sections operating into enemy and sometimes neutral territory, and the selection and training of agents. Sections, usually referred to by code letters or groups of letters, were assigned to a single country. Some enemy-occupied countries had two or more sections assigned to deal with politically disparate resistance movements. (France had no less than six). For security purposes, each section had its own headquarters and training establishments. This strict compartmentalisation was so effective that in mid-1942 five governments in exile jointly suggested that a single sabotage organisation be created, and were startled to learn that SOE had been in existence for two years. Four departments and some smaller groups were controlled by the director of scientific research, Professor Dudley Maurice Newitt, and were concerned with the development or acquisition and production of special equipment. A few other sections were involved with finance, security, economic research and administration, although SOE had no central registry or filing system. When Gubbins was appointed director, he formalised some of the administrative practices which had grown in an ad hoc fashion and appointed an establishment officer to oversee the manpower and other requirements of the various departments. The main controlling body of SOE was its council, consisting of around fifteen heads of departments or sections. About half of the council were from the armed forces (although some were specialists who were only commissioned after the outbreak of war), the rest were various civil servants, lawyers, or business or industrial experts. Most of the members of the council, and the senior officers and functionaries of SOE generally, were recruited by word of mouth among public school alumni and Oxbridge graduates, although this did not notably affect SOE's political complexion. Several subsidiary SOE headquarters and stations were set up to manage operations which were too distant for London to control directly. SOE's operations in the Middle East and Balkans were controlled from a headquarters in Cairo, which was notorious for poor security, infighting and conflicts with other agencies. It finally became known in April 1944 as Special Operations (Mediterranean), or SO(M). Shortly after the Allied landings in North Africa, a station codenamed "Massingham" was established near Algiers in late 1942, which operated into Southern France. Following the Allied invasion of Italy, personnel from "Massingham" established forward stations in Brindisi and near Naples. A subsidiary headquarters initially known as "Force 133" was later set up in Bari in Southern Italy, under the Cairo headquarters, to control operations in the Balkans and Northern Italy. An SOE station, which was first called the India Mission, and was subsequently known as GS I(k) was set up in India late in 1940. It subsequently moved to Ceylon so as to be closer to the headquarters of the Allied South East Asia Command and became known as Force 136. A Singapore Mission was set up at the same time as the India Mission but was unable to overcome official opposition to its attempts to form resistance movements in Malaya before the Japanese overran Singapore. Force 136 took over its surviving staff and operations. New York City also had a branch office, formally titled British Security Coordination, and headed by the Canadian businessman Sir William Stephenson. This office, located at Room 3603, 630 Fifth Avenue, Rockefeller Center, coordinated the work of SOE, SIS and MI5 with the American FBI and Office of Strategic Services. As with its leadership and organisation, the aims and objectives of SOE changed throughout the war, although they revolved around sabotaging and subverting the Axis war machines through indirect methods. SOE occasionally carried out operations with direct military objectives, such as Operation Harling, originally designed to cut one of the Axis supply lines to their troops fighting in North Africa. They also carried out some high-profile operations aimed mainly at the morale both of the Axis and occupied nations, such as Operation Anthropoid, the assassination in Prague of Reinhard Heydrich. In general also, SOE's objectives were to foment mutual hatred between the population of Axis-occupied countries and the occupiers, and to force the Axis to expend manpower and resources on maintaining their control of subjugated populations. Dalton's early enthusiasm for fomenting widespread strikes, civil disobedience and nuisance sabotage in Axis-occupied areas had to be curbed. Thereafter, there were two main aims, often mutually incompatible; sabotage of the Axis war effort, and the creation of secret armies which would rise up to assist the liberation of their countries when Allied troops arrived or were about to do so. It was recognised that acts of sabotage would bring about reprisals and increased Axis security measures which would hamper the creation of underground armies. As the tide of war turned in the Allies' favour, these underground armies became more important. At the government level, SOE's relationships with the Foreign Office were often difficult. On several occasions, various governments in exile protested at operations taking place without their knowledge or approval, provoking Axis reprisals against civilian populations, or complained about SOE's support for movements opposed to the exiled governments. SOE's activities also threatened relationships with neutral countries. SOE nevertheless generally adhered to the rule, "No bangs without Foreign Office approval." Early attempts at bureaucratic control of Jefferis's MIR(c) by the Ministry of Supply were eventually foiled by Churchill's intervention. Thereafter, they co-operated, though at arm's length, with Dudley Newitt's various supply and development departments. The Treasury were accommodating from the start and were often prepared to turn a blind eye to some of SOE's questionable activities. With other military headquarters and commands, SOE cooperated fairly well with Combined Operations Headquarters during the middle years of the war, usually on technical matters as SOE's equipment was readily adopted by commandos and other raiders. This support was lost when Vice Admiral Louis Mountbatten left Combined Operations, though by this time SOE had its own transport and had no need to rely on Combined Operations for resources. On the other hand, the Admiralty objected to SOE developing its own underwater vessels, and the duplication of effort this involved. The Royal Air Force, and in particular RAF Bomber Command under "Bomber" Harris were usually reluctant to allocate aircraft to SOE. Towards the end of the war, as Allied forces began to liberate territories occupied by the Axis and in which SOE had established resistance forces, SOE also liaised with and to some extent came under the control of the Allied theatre commands. Relationships with Supreme Headquarters Allied Expeditionary Force in north-west Europe (whose commander was General Dwight D. Eisenhower) and South East Asia Command (whose commander was Admiral Louis Mountbatten, already well known to SOE) were generally excellent. However, there were difficulties with the Commanders in Chief in the Mediterranean, partly because of the complaints over impropriety at SOE's Cairo headquarters during 1941 and partly because both the supreme command in the Mediterranean and SOE's establishments were split in 1942 and 1943, leading to divisions of responsibility and authority. There was tension between SOE and SIS, which the Foreign Office controlled. Where SIS preferred placid conditions in which it could gather intelligence and work through influential persons or authorities, SOE was intended to create unrest and turbulence, and often backed anti-establishment organisations, such as the Communists, in several countries. At one stage, SIS actively hindered SOE's attempts to infiltrate agents into enemy-occupied France. Even before the United States joined the war, the head of the newly formed Office of the Coordinator of Information (COI), William J. Donovan, had received technical information from SOE and had arranged for some members of his organisation to undergo training at a camp run by SOE in Oshawa in Canada. In early 1942, Donovan's organisation became the Office of Strategic Services. SOE and OSS worked out respective areas of operation: OSS's exclusive sphere included China (including Manchuria), Korea and Australia, the Atlantic islands and Finland. SOE retained India, the Middle East and East Africa, and the Balkans. While the two services both worked in Western Europe, it was expected that SOE would be the leading partner. In the middle years of the war, the relations between SOE and OSS were not often smooth. They established a joint headquarters in Algiers but the officers of the two organisations working there refused to share information with each other. In the Balkans, and Yugoslavia especially, SOE and OSS several times worked at cross-purposes, reflecting their governments' differing (and changing) attitudes to the Partisans and Chetniks. However, in 1944 SOE and OSS successfully pooled their personnel and resources to mount Operation Jedburgh, providing large scale support to the French Resistance following the Normandy landings. SOE had some nominal contact with the Soviet NKVD, but this was limited to a single liaison officer at each other's headquarters. SOE memorial plaque in the cloister of Beaulieu Abbey, Hampshire, unveiled by Major General Gubbins in April 1969. After working from temporary offices in Central London, the headquarters of SOE was moved on 31 October 1940 into 64 Baker Street (hence the nickname "the Baker Street Irregulars"). Ultimately, SOE occupied much of the western side of Baker Street. "Baker Street" became the euphemistic way of referring to SOE. The precise nature of the buildings remained concealed; it had no entry in the telephone directories, and correspondence to external bodies bore service addresses; MO1 (SP) (a War Office branch), NID(Q) (Admiralty), AI10 (Air Ministry), or other fictitious bodies or civilian companies. SOE maintained a large number of training, research and development or administrative centres. It was a joke that "SOE" stood for "Stately 'omes of England", after the large number of country houses and estates it requisitioned and used. The establishments connected with experimentation and production of equipment were mainly concentrated in and around Hertfordshire and were designated by roman numbers. The main weapons and devices research establishments were The Firs, the home of MD1 near Aylesbury in Buckinghamshire (although this was not formally part of SOE), and Station IX at The Frythe, a country house (and former private hotel) outside Welwyn Garden City where, under the cover name of ISRB (Inter Services Research Bureau), SOE developed radios, weapons, explosive devices and booby traps. Section D originally had a research station at Bletchley Park, which also held the Government Code and Cipher School, until in November 1940 it was decided that it was unwise to conduct codebreaking and explosives experiments on the same site. The establishment moved to Aston House near Stevenage in Hertfordshire and was renamed Station XII. It originally conducted research and development but from 1941 it became a production, storage and distribution centre for devices already developed. Station XV, at the Thatched Barn near Borehamwood, was devoted to camouflage, which usually meant equipping agents with authentic local clothing and personal effects. Various sub-stations in London were also involved in this task. Station XV and other camouflage sections also devised methods of hiding weapons, explosives or radios in innocuous-seeming items. In addition to local dress and personal effects, agents also needed identity papers, ration cards, currency and so on. Station XIV, at Briggens House near Roydon in Essex, was originally the home of STS38, a training facility for Polish saboteurs, ) who set up their own forgery section. As the work expanded, it became the central forgery department for SOE and the Poles eventually moved out on 1 April 1942. The technicians at Station XIV included a number of ex-convicts. The training establishments, and properties used by country sections, were designated by Arabic numbers and were widely distributed. The initial training centres of the SOE were at country houses such as Wanborough Manor, Guildford. Agents destined to serve in the field underwent commando training at Arisaig in Scotland, where they were taught armed and unarmed combat skills by William E. Fairbairn and Eric A. Sykes, former Inspectors in the Shanghai Municipal Police. Those who passed this course received parachute training by STS 51 and 51a situated near Altrincham, Cheshire with the assistance of No.1 Parachute Training School RAF,[page needed] at RAF Ringway (which later became Manchester Airport). They then attended courses in security and Tradecraft at Group B schools around Beaulieu in Hampshire. Finally, depending on their intended role, they received specialist training in skills such as demolition techniques or Morse code telegraphy at various country houses in England. SOE's Cairo branch established a commando and parachute training school numbered STS 102 at Ramat David near Haifa. This school trained agents who joined SOE from among the armed forces stationed in the Middle East, and also members of the Special Air Service and Greek Sacred Squadron. A commando training centre similar to Arisaig and run by Fairbairn was later set up at Oshawa, for Canadian members of SOE and members of the newly created American organisation, the Office of Strategic Services. A variety of people from all classes and pre-war occupations served SOE in the field. The backgrounds of agents in F Section, for example, ranged from the daughter of an Indian Sufi sect leader (Noor Inayat Khan) to working class, with some even reputedly from the criminal underworld. In most cases, the primary quality required of an agent was a deep knowledge of the country in which he or she was to operate, and especially its language, if the agent was to pass as a native of the country. Dual nationality was often a prized attribute. This was particularly so of France. In other cases, especially in the Balkans, a lesser degree of fluency was required as the resistance groups concerned were already in open rebellion and a clandestine existence was unnecessary. A flair for diplomacy combined with a taste for rough soldiering was more necessary. Some regular army officers proved adept as envoys, although others (such as the former diplomat Fitzroy Maclean or the classicist Christopher Woodhouse) were commissioned only during wartime. Several of SOE's agents were from the Jewish Parachutists of Mandate Palestine, many of whom were already Émigrés from Nazi or other oppressive or anti-semitic regimes in Europe. Thirty-two of them served as agents in the field, seven of whom were captured and executed. Exiled or escaped members of the armed forces of some occupied countries were obvious sources of agents. This was particularly true of Norway and the Netherlands. In other cases (such as Frenchmen owing loyalty to Charles de Gaulle and especially the Poles), the agents' first loyalty was to their leaders or governments in exile, and they treated SOE only as a means to an end. This could occasionally lead to mistrust and strained relations in Britain. The organisation was prepared to ignore almost any contemporary social convention in its fight against the Axis. It employed known homosexuals, people with criminal records (some of whom taught skills such as picking locks) or bad conduct records in the armed forces, Communists and anti-British nationalists. Some of these might have been considered a security risk, but no known case exists of an SOE agent wholeheartedly going over to the enemy. The case of Henri Déricourt is an example in which the conduct of agents was questionable, but it was impossible to establish whether they were acting under secret orders from SOE or MI6. SOE was also far ahead of contemporary attitudes in its use of women in armed combat. Although women were first considered only as couriers in the field or as wireless operators or administrative staff in Britain, those sent into the field were trained to use weapons and in unarmed combat. Most were commissioned into either the First Aid Nursing Yeomanry (FANY) or the Women's Auxiliary Air Force. Some (such as Pearl Witherington) became the organisers of resistance networks. Others such as Odette Hallowes or Violette Szabo were decorated for bravery, posthumously in Szabo's case. Of SOE's 55 female agents, thirteen were killed in action or died in Nazi concentration camps. Most of the resistance networks which SOE formed or liaised with were controlled by radio directly from Britain or one of SOE's subsidiary headquarters. All resistance circuits contained at least one wireless operator, and all drops or landings were arranged by radio, except for some early exploratory missions sent "blind" into enemy-occupied territory. At first, SOE's radio traffic went through the SIS-controlled radio station at Bletchley Park. From 1 June 1942 SOE used its own transmitting and receiving stations at Grendon Underwood and Poundon nearby, as the location and topography were suitable. Teleprinters linked the radio stations with SOE's HQ in Baker Street. Operators in the Balkans worked to radio stations in Cairo. SOE was highly dependent upon the security of radio transmissions, involving three factors: the physical qualities and capabilities of the radio sets, the security of the transmission procedures and the provision of proper ciphers. SOE's first radios were supplied by SIS. They were large, clumsy and required large amounts of power. SOE acquired a few, much more suitable, sets from the Poles in exile, but eventually designed and manufactured their own, such as the Paraset, under the direction of Lieutenant Colonel F. W. Nicholls R. Sigs who had served with Gubbins between the wars. The A Mk III, with its batteries and accessories, weighed only 9 pounds (4.1 kg), and could fit into a small attache case, although the B Mk II, otherwise known as the B2, which weighed 32 pounds (15 kg), was required to work over ranges greater than about 500 miles (800 km). As with their first radio sets, SOE's first ciphers were inherited from SIS. Leo Marks, SOE's chief cryptographer, was responsible for the development of better codes to replace the insecure poem codes. Eventually, SOE settled on single use ciphers, printed on silk. Unlike paper, which would be given away by rustling, silk would not be detected by a casual search if it was concealed in the lining of clothing. The BBC also played its part in communications with agents or groups in the field. During the war, it broadcast to almost all Axis-occupied countries, and was avidly listened to, even at risk of arrest. The BBC included various "personal messages" in its broadcasts, which could include lines of poetry or apparently nonsensical items. They could be used to announce the safe arrival of an agent or message in London for example, or could be instructions to carry out operations on a given date. These were used for example to mobilise the resistance groups in the hours before Operation Overlord. In the field, agents could sometimes make use of the postal services, though these were slow, not always reliable and letters were almost certain to be opened and read by the Axis security services. In training, agents were taught to use a variety of easily available substances to make invisible ink, though most of these could be detected by a cursory examination, or to hide coded messages in apparently innocent letters. The telephone services were even more certain to be intercepted and listened to by the enemy, and could be used only with great care. The most secure method of communication in the field was by courier. In the earlier part of the war, most women sent as agents in the field were employed as couriers, on the assumption that they would be less likely to be suspected of illicit activities. Although SOE used some suppressed assassination weapons such as the De Lisle carbine and the Welrod (specifically developed for SOE at Station IX), it took the view that weapons issued to resisters should not require extensive training in their use, or need careful maintenance. The crude and cheap Sten was a favourite. For issue to large forces such as the Yugoslav Partisans, SOE used captured German or Italian weapons. These were available in large quantities after the Tunisian and Sicilian campaigns and the surrender of Italy, and the partisans could acquire ammunition for these weapons (and the Sten) from enemy sources. SOE also adhered to the principle that resistance fighters would be handicapped rather than helped by heavy equipment such as mortars or anti-tank guns. These were awkward to transport, almost impossible to conceal and required skilled and highly trained operators. Later in the war however, when resistance groups staged open rebellions against enemy occupation, some heavy weapons were dispatched, for example to the Maquis du Vercors. Weapons such as the British Army's standard Bren light machine gun were also supplied in such cases. Most SOE agents received training on captured enemy weapons before being sent into enemy-occupied territory. Ordinary SOE agents were also armed with handguns acquired abroad, such as, from 1941, a variety of US pistols, and a large quantity of the Spanish Llama .38 ACP in 1944. Such was SOE's demand for weapons, a consignment of 8,000 Ballester–Molina .45 calibre weapons was purchased from Argentina, apparently with the mediation of the US. SOE agents were issued with the Fairbairn–Sykes fighting knife also issued to Commandos. For specialised operations or use in extreme circumstances, SOE issued small fighting knives which could be concealed in the heel of a hard leather shoe or behind a coat lapel. Given the likely fate of agents captured by the Gestapo, SOE also disguised suicide pills as coat buttons. SOE developed a wide range of explosive devices for sabotage, such as limpet mines, shaped charges and time fuses, which were also widely used by commando units. Most of these devices were designed and produced at The Firs. The Time Pencil, invented by Commander A.J.G. Langley, the first commandant of Station XII at Aston was used to give a saboteur time to escape after setting a charge and was far simpler to carry and use than lighted fuses or electrical detonators. It relied on crushing an internal vial of acid which then corroded a retaining wire, which sometimes made it inaccurate in cold or hot conditions. Later the L-Delay, which instead allowed a lead retaining wire to "creep" until it broke and was less affected by the temperature, was introduced. SOE pioneered the use of plastic explosive. (The term "plastique" comes from plastic explosive packaged by SOE and originally destined for France but taken to the United States instead.) Plastic explosive could be shaped and cut to perform almost any demolition task. It was also inert and required a powerful detonator to cause it to explode, and was therefore safe to transport and store. It was used in everything from car bombs, to exploding rats designed to destroy coal-fired boilers. Other, more subtle sabotage methods included lubricants laced with grinding materials, intended for introduction into vehicle oil systems, railway wagon axle boxes, etc., incendiaries disguised as innocuous objects, explosive material concealed in coal piles to destroy locomotives, and land mines disguised as cow or elephant dung. On the other hand, some sabotage methods were extremely simple but effective, such as using sledgehammers to crack cast-iron mountings for machinery. Station IX developed several miniature submersible craft. The Welman submarine and Sleeping Beauty were offensive weapons, intended to place explosive charges on or adjacent to enemy vessels at anchor. The Welman was used once or twice in action, but without success. The Welfreighter was intended to deliver stores to beaches or inlets, but it too was unsuccessful. A sea trials unit was set up in West Wales at Goodwick, by Fishguard (station IXa) where these craft were tested. In late 1944 craft were dispatched to Australia to the Allied Intelligence Bureau (SRD), for tropical testing. SOE also revived some medieval devices, such as the caltrop, which could be used to burst the tyres of vehicles or injure foot soldiers and crossbows powered by multiple rubber bands to shoot incendiary bolts. There were two types, known as "Big Joe" and "Li'l Joe" respectively. They had tubular alloy skeleton stocks and were designed to be collapsible for ease of concealment. An important section of SOE was the Operation Research and Trials Section, which was formally established in August 1943. The section had the responsibility both for issuing formal requirements and specifications to the relevant development and production sections, and for testing prototypes of the devices produced under field conditions. Over the period from 1 November 1943 to 1 November 1944, the section tested 78 devices. Some of these were weapons such as the Sleeve gun or fuses or adhesion devices to be used in sabotage, others were utility objects such as waterproof containers for stores to be dropped by parachute, or night glasses (lightweight binoculars with plastic lenses). Of the devices tested, 47% were accepted for use with little or no modification, 31% were accepted only after considerable modification and the remaining 22% were rejected. Before SOE's research and development procedures were formalised in 1943, a variety of more or less useful devices were developed. Some of the more imaginative devices invented by SOE included exploding pens with enough explosive power to blast a hole in the bearer's body, or guns concealed in tobacco pipes, though there is no record of any of these being used in action. Station IX developed a miniature folding motorbike (the Welbike) for use by parachutists, though this was noisy and conspicuous, used scarce petrol and was of little use on rough ground. The continent of Europe was largely closed to normal travel. Although it was possible in some cases to cross frontiers from neutral countries such as Spain or Sweden, it was slow and there were problems over violating these countries' neutrality. SOE had to rely largely on its own air or sea transport for movement of people, arms and equipment. SOE never had its own air force, but had to rely on the RAF for its planes. It was engaged in disputes with the RAF from its early days. In January 1941, an intended ambush (Operation Savanna) against the aircrew of a German "pathfinder" air group near Vannes in Brittany was thwarted when Air Vice Marshal Charles Portal, the Chief of the Air Staff, objected on moral grounds to parachuting what he regarded as assassins, although Portal's objections were later overcome and Savanna was mounted, unsuccessfully. From 1942, when Air Marshal Arthur Harris ("Bomber Harris") became the Commander-in-Chief of RAF Bomber Command, he consistently resisted the diversion of the most capable types of bombers to SOE purposes. Nos. 161 and 138 Squadrons were based at RAF Tempsford in Bedfordshire though No. 161 Squadron often moved forward to RAF Tangmere, close to the coast, to shorten their flights. The airfield at Tempsford became the RAF's most secret base. (Tempsford had been rejected for Bomber Command's purposes by Harris in March 1942, as it frequently became waterlogged.) RAF Tempsford was designed to look like an ordinary working farm. The SOE used Tangmere Cottage, opposite the main entrance to the base. SOE agents were lodged in a local hotel before being ferried to farm buildings, the "Gibraltar Farm" within the airfield's perimeter track. After final briefings and checks at the farm, the agents were issued firearms in the barn, and then boarded a waiting aircraft. 161 Squadron's principal aircraft was the Westland Lysander. It handled very well at low speed and could use landing grounds only 400 yards (370 m) long. It had an effective range of 700 miles (1,100 km), and could carry one to three passengers in the rear cockpit and stores in a pannier underneath the fuselage. It was flown by a single pilot, who also had to navigate, so missions had to be flown on clear nights with a full or near full moon. Bad weather often thwarted missions, German night fighters were also a hazard, and pilots could never know when landing whether they would be greeted by the resistance or the Gestapo. The procedure once a Lysander reached a its destination in France was described by Squadon Leader Hugh Verity. Once the aircraft reached the airfield the agent on the ground would signal the aircraft by flashing a prearranged code letter in Morse. The aircraft would respond by blinking back the appropriate code response letter. The agent and his men would then mark the field by lighting the three landing lights, which were flashlights attached to poles. The "A" lamp was at the base of the landing ground. 150 metres beyond it and into the wind was the "B" light, and 50 metres to the right of "B" was the "C" light. The three lights formed an inverted "L", with the "B" and "C" lights upwind from "A". With the code passed the pilot would land the aircraft. He then would taxi back to the "A" lamp, where the passengers would clamber down the fixed ladder to the ground, often while the pilot was making a slow U-turn. Before leaving the last passenger would hand off the luggage and then take aboard the outgoing luggage before climbing down the ladder as well. Then the outgoing passengers would climb aboard and the aircraft would take off. The whole exchange might take as little as 3 minutes. The Lockheed Hudson had a range 200 miles (320 km) greater and could carry more passengers (ten or more), but required landing strips three times as long as those needed for the Lysander (450 yards vs. 150 yards). It carried a navigator, to ease the load on the pilot, and could also be fitted with navigational equipment such as the "Rebecca" homing receiver. The Hudson's use with 161 Squadron was developed by Charles Pickard and Hugh Verity. Pickard determined that the Hudson's stall speed was actually some 20 mph slower than its manual stated. Before it was first used on 13 January 1943, 161 Squadron had to send two Lysander aircraft in what they termed "a double" if larger parties needed to be picked up. No. 138 Squadron's primary mission was the delivery of equipment, and occasionally agents, by parachute. It flew a variety of bomber-type aircraft, often modified with extra fuel tanks and flame-suppressing exhaust shrouds: the Armstrong Whitworth Whitley until November 1942, the Handley Page Halifax and later the Short Stirling. The Stirling could carry a very large load, but the aircraft with the longest range was the Halifax, which when based in Italy could reach drop zones as far away as eastern Poland. Later in the war, some RAF Special Duties units used the very long-range Consolidated B-24 Liberator. Stores were usually parachuted in cylindrical containers. The "C" type was 69 inches (180 cm) long, and when fully loaded could weigh up to 224 pounds (102 kg). The "H" type was the same size overall but could be broken down into five smaller sections. This made it easier to carry and conceal but it could not be loaded with longer loads such as rifles. Some inert stores such as boots and blankets were "free-dropped" i.e. simply thrown out of the aircraft bundled together without a parachute, often to the hazard of any receiving committee on the ground. Some devices used by SOE were designed specifically to guide aircraft to landing strips and dropping zones. Such sites could be marked by an agent on the ground with bonfires or bicycle lamps, but this required good visibility, as the pilot or navigator of a plane had not only to spot the ground signals, but also to navigate by visible landmarks to correct dead reckoning. Many landings or drops were thwarted by bad weather. To overcome these problems, SOE and Allied airborne forces used the Rebecca/Eureka transponding radar, which enabled a Hudson or larger aircraft to home in on a point on the ground even in thick weather. It was however difficult for agents or resistance fighters to carry or conceal the ground-based "Eureka" equipment. SOE also developed the S-Phone, which allowed a pilot or radio operator aboard an aircraft to communicate by voice with the "reception committee". Sound quality was good enough for voices to be recognisable, so that a mission could be aborted in case of any doubts of an agent's identity. SOE also experienced difficulties with the Royal Navy, who were usually unwilling to allow SOE to use its submarines or motor torpedo boats to deliver agents or equipment. Submarines were regarded as too valuable to risk within range of enemy coastal defences. They could also carry only small numbers of agents, in great discomfort, and could disembark stores only in small dinghies or canoes, which made it difficult to land large quantities of equipment. SOE nevertheless used them in the Indian Ocean where the distances made it impracticable to use any smaller craft. The vessels used by SOE during the early part of the war were clandestine craft such as fishing boats or caiques. They could pass muster as innocent local craft and carry large quantities of stores. They also had the advantage of being largely outside Admiralty control. However, SOE's first small craft organisation, which was set up in the Helford estuary, suffered from obstruction from SIS, which had a similar private navy nearby. Eventually, in spring 1943, the Admiralty created a Deputy Director of Operations (Irregular), to superintend all such private navies. This officer turned out to be the former commander of SIS's craft in the Helford estuary, but his successor in charge of SIS's Helford base cooperated much better with SOE's flotilla. Even so, while SIS and SOE (and MI9) landed and embarked several dozen agents, refugees and allied aircrew, it was impossible to transport large quantities of arms and equipment inland from beaches in heaviy patrolled coastal areas, until France was almost liberated. After the German occupation of Norway, many Norwegian merchant seamen and fishermen made their way to Britain. SOE recruited several to maintain communications to Norway, using fishing boats from a base in the Shetland Islands. The service became so reliable that it became known as the Shetland Bus. One of its boats and crews launched a daring but unsuccessful attack ("Operation Title") against the German battleship Tirpitz. A similar organisation ran missions to occupied Denmark (and neutral Sweden) from the East Coast of Britain. The "Shetland Bus" was unable to operate only during the very long hours of daylight in the arctic summer, because of the risk that the slow fishing boats would be attacked by patrolling German aircraft. Late in the war, the unit acquired three fast Submarine chasers for such missions. About the same time, SOE also acquired MTBs and Motor Gun Boats for the Helford flotilla. SOE also ran feluccas from Algiers into southern France and Corsica, and some caiques in the Aegean. In France, most agents were directed by two London-based country sections. F Section was under SOE control, while RF Section was linked to Charles de Gaulle's Free French Government in exile. Most native French agents served in RF. Two smaller sections also existed: EU/P Section, which dealt with the Polish community in France, and the DF Section which was responsible for establishing escape routes. During the latter part of 1942 another section known as AMF was established in Algiers, to operate into Southern France. On 5 May 1941 Georges Bégué (1911–1993) became the first SOE agent dropped into German occupied France. Between Bégué's first drop in May 1941 and August 1944, more than four hundred F Section agents were sent into occupied France, with Andrée Borrel (1919–1944) being the first woman dropped into France on 24 September 1942. They served in a variety of functions including arms and sabotage instructors, couriers, circuit organisers, liaison officers and radio operators. RF sent about the same number; AMF sent 600 (although not all of these belonged to SOE). EU/P and DF sent a few dozen agents each. Some networks were compromised, with the loss of many agents. In particular agents continued to be sent to the "Prosper" network for some time after it had been controlled by Germans. The head of F Section, Maurice Buckmaster was blamed by many for the loss, and overwork may have played a part. To support the Allied invasion of France on D Day in June 1944 three-man parties were dropped into various parts of France as part of Operation Jedburgh, to co-ordinate widespread overt (as opposed to clandestine) acts of resistance. A total of 100 men were eventually dropped, together with 6,000 tons of military stores (4,000 tons had been dropped during the years before D-Day). At the same time, all the various sections operating in France (except EU/P) were nominally placed under a London-based HQ titled État-major des Forces Françaises de l'Intérieur (EMFFI). It was to take many weeks for a full assessment of the contributions of the Jedburgh teams to the Allied landings in Normandy, but when it came it vindicated Gubbins’ belief that careful planned sabotage could cripple a modern army. General Eisenhower’s staff at the Supreme Headquarters of the Allied Expeditionary Force said that the Jedburghs had "succeeded in imposing more or less serious delays on all the division moved to Normandy". This had prevented Hitler from striking back in the crucial opening hours of Operation Overlord. Eisenhower’s staff singled out the work of Tommy Macpherson and his two comrades-in-arms for particular praise. The most “outstanding example was the delay to the 2nd SS Panzer Division”, they said, and added a very personal endorsement, agreeing that the work carried out under Gubbins’ leadership played a “very considerable part in our complete and final victory”. SOE did not need to instigate Polish resistance, because unlike the Vichy French the Poles overwhelmingly refused to collaborate with the Nazis. Early in the war the Poles established the Polish Home Army, led by a clandestine resistance government known as the Polish Secret State. Nevertheless, many members of SOE were Polish and the SOE and the Polish resistance cooperated extensively. SOE assisted the Polish government in exile with training facilities and logistical support for its 605 special forces operatives known as the Cichociemni, or "The Dark and Silent". Members of the unit, which was based in Audley End House, Essex, were rigorously trained before being parachuted into occupied Poland. Because of the distance involved in air travel to Poland, customised aircraft with extra fuel capacity were used in Polish operations such as Operation Wildhorn III. Sue Ryder chose the title Baroness Ryder of Warsaw in honour of these operations. Secret Intelligence Service member Krystyna Skarbek (nom de guerre Christine Granville) was a founder member of SOE and helped establish a cell of Polish spies in Central Europe. She ran several operations in Poland, Egypt, Hungary (with Andrzej Kowerski) and France, often using the staunchly anti-Nazi Polish expatriate community as a secure international network. Non-official cover agents Elzbieta Zawacka and Jan Nowak-Jezioranski perfected the Gibraltar courier route out of occupied Europe. Maciej Kalenkiewicz was parachuted into occupied Poland, only to be killed by the Soviets. A Polish agent was integral to SOE's Operation Foxley, the plan to assassinate Hitler. Thanks to co-operation between SOE and the Polish Home Army, the Poles were able to deliver the first Allied intelligence on the Holocaust to London in June 1942. Witold Pilecki of the Polish Home Army designed a joint operation with SOE to liberate Auschwitz, but the British rejected it as infeasible. Joint Anglo-Polish operations provided London with vital intelligence on the V-2 rocket, German troops movements on the Eastern Front, and the Soviet repressions of Polish citizens. Due to the dangers and lack of friendly population few operations were conducted in Germany itself. The German and Austrian section of SOE was run by Lieutenant Colonel Ronald Thornley for most of the war, and was mainly involved with black propaganda and administrative sabotage in collaboration with the German section of the Political Warfare Executive. After D-Day, the section was re-organised and enlarged with Major General Gerald Templer heading the Directorate, with Thornley as his deputy. Several major operations were planned, including Operation Foxley, a plan to assassinate Hitler, and Operation Periwig, an ingenious plan to simulate the existence of a large-scale anti-Nazi resistance movement within Germany. Foxley was never carried out but Periwig went ahead despite restrictions placed on it by SIS and SHAEF. Several German prisoners of war were trained as agents, briefed to make contact with the anti-Nazi resistance and to conduct sabotage. They were then parachuted into Germany in the hope that they would either hand themselves in to the Gestapo or be captured by them, and reveal their supposed mission. Fake coded wireless transmissions were broadcast to Germany and various pieces of agent paraphernalia such as code books and wireless receivers were allowed to fall into the hands of the German authorities. Section N of SOE ran operations in the Netherlands. They committed some of SOE's worst blunders in security, which allowed the Germans to capture many agents and much sabotage material, in what the Germans called the 'Englandspiel'. SOE apparently ignored the absence of security checks in radio transmissions, and other warnings from their chief cryptographer, Leo Marks, that the Germans were running the supposed resistance networks. A total of 50 agents were caught and brought to Camp Haaren in the South of the Netherlands. Five captured men managed to escape from the camp. Two of them, Pieter Dourlein and Ben Ubbink, escaped on 29 August 1943 and found their way to Switzerland. There, the Netherlands Embassy sent messages over their controlled sets to England that SOE Netherlands was compromised. SOE set up new elaborate networks, which continued to operate until the Netherlands were liberated at the end of the war. From September 1944 to April 1945, eight Jedburgh teams were also active in the Netherlands. The first team, code named "Dudley" was parachuted into the east of the Netherlands one week before Operation Market Garden. The next four teams were attached to the Airborne forces that carried out Market Garden. After the failure of Market Garden, one Jedburgh team trained (former) resistance men in the liberated South of the Netherlands. In April 1945 the last two Dutch Jedburgh teams became operational. One team code named "Gambling", was a combined Jedburgh/Special Air Service (SAS) group that was dropped into the centre of the Netherlands to assist the Allied advance. The last team was parachuted into the Northern Netherlands as part of SAS operation "Amherst". Despite the fact that operating in the flat and densely populated Netherlands was very difficult for the Jedburghs, the teams were quite successful. Section T established some effective networks in Belgium, in part orchestrated by fashion designer Hardy Amies, who rose to the rank of lieutenant colonel. Amies adapted names of fashion accessories for use as code words, while managing some of the most murderous and ruthless agents in the field. In the aftermath of the Battle of Normandy, British armoured forces liberated the country in less than a week, giving the resistance little time to stage an uprising. They did assist British forces to bypass German rearguards, and this allowed the Allies to capture the vital docks at Antwerp intact (although a protracted and bloody Battle of the Scheldt was later fought to clear the Scheldt estuary before the Allies could use the port). After Brussels was liberated, Amies outraged his superiors by setting up a Vogue photo-shoot in Belgium. In 1946, he was Knighted in Belgium for his service with SOE, being a Named Officier de l'Ordre de la Couronne. As both an enemy country, and supposedly a monolithic fascist state with no organised opposition which SOE could use, SOE made little effort in Italy before mid-1943, when Mussolini's government collapsed and Allied forces already occupied Sicily. [page needed] In April 1941, in a mission codenamed "Yak", Peter Fleming attempted to recruit agents from among the many thousands of Italian prisoners of war captured in the Western Desert Campaign. He met with no response. [page needed] Attempts to search among Italian immigrants in the United States, Britain and Canada for agents to be sent to Italy had similarly poor results. During the first three years of war, the most important "episode" of the collaboration between SOE and Italian anti-fascism was a project of an anti-fascist uprising in Sardinia, which the SOE supported at some stage but did not receive approval from the Foreign Office. In the aftermath of the Italian collapse, SOE (in Italy renamed No. 1 Special Force) helped build a large resistance organisation in the cities of Northern Italy, and in the Alps. Italian partisans harassed German forces in Italy throughout the autumn and winter of 1944, and in the Spring 1945 offensive in Italy they captured Genoa and other cities unaided by Allied forces. SOE helped the Italian Resistance send British missions to the partisan formations and supply war material to the bands of patriots, a supply made without political prejudices, and which also helped the Communist formations (Brigate Garibaldi). In the aftermath of the German invasion in 1941, the Kingdom of Yugoslavia fragmented. Croatia, had a substantial pro-Axis movement, the Ustaše. In Croatia as well as the remainder of Yugoslavia, two resistance movements formed; the royalist Chetniks under Draža Mihailović, and the Communist Partisans under Josip Broz Tito. Mihailović was the first to attempt to contact the Allies, and SOE despatched a party on 20 September 1941 under Major "Marko" Hudson. Hudson also encountered Tito's forces. Through the royalist government in exile, SOE at first supported the Chetniks. Eventually, however, due to reports that the Chetniks were less effective and even collaborating with German and Italian forces on occasion, British support was redirected to the Partisans, even before the Tehran Conference in 1943. Although relations were often touchy throughout the war, it can be argued that SOE's unstinting support was a factor in Yugoslavia's maintaining a neutral stance during the Cold War. However, accounts vary dramatically between all historical works on the "Chetnik controversy". SOE was unable to establish links or contacts in Hungary before the regime of Miklós Horthy aligned itself with the Axis Powers. Distance and lack of such contacts prevented any effort being made by SOE until the Hungarians themselves dispatched a diplomat (László Veress) in a clandestine attempt to contact the Western Allies. SOE facilitated his return, with some radio sets. Before the Allied governments could agree terms, Hungary was placed under German military occupation and Veress was forced to flee the country. Two missions subsequently dropped "blind" i.e. without prior arrangement for a reception party, failed. So too did an attempt by Basil Davidson to incite a partisan movement in Hungary, after he made his way there from northeastern Yugoslavia. Greece was overrun by the Axis after a desperate defence lasting several months. In the aftermath, SIS and another intelligence organisation, SIME, discouraged attempts at sabotage or resistance as this might imperil relations with Turkey, although SOE maintained contacts with resistance groups in Crete. When an agent, "Odysseus", a former tobacco-smuggler, attempted to contact potential resistance groups in Greece, he reported that no group was prepared to co-operate with the monarchist government in exile in Cairo. In late 1942, at the army's instigation, SOE mounted its first operation, codenamed Operation Harling, into Greece in an attempt to disrupt the railway which was being used to move materials to the German Panzer Army Africa. A party under Colonel (later Brigadier) Eddie Myers, assisted by Christopher Woodhouse, was parachuted into Greece and discovered two guerrilla groups operating in the mountains: the pro-Communist ELAS and the republican EDES. On 25 November 1942, Myers's party blew up one of the spans of the railway viaduct at Gorgopotamos, supported by 150 Greek partisans from these two organisations who engaged Italians guarding the viaduct. This cut the railway linking Thessaloniki with Athens and Piraeus. Relations between the resistance groups and the British soured. When the British needed once again to disrupt the railway across Greece as part of the deception operations preceding Operation Husky, the Allied invasion of Sicily, the resistance groups refused to take part, rightly fearing German reprisals against civilians. Instead, a six-man commando party from the British and New Zealand armies, led by New Zealander Lieutenant Colonel Cecil Edward Barnes a civil engineer, carried out the destruction of the Asopos viaduct on 21 June 1943. Two attempts by Mike Cumberlege to make the Corinth Canal unnavigable ended in failure. EDES received most aid from SOE, but ELAS secured many weapons when Italy collapsed and Italian military forces in Greece dissolved. ELAS and EDES fought a vicious civil war in 1943 until SOE brokered an uneasy armistice (the Plaka agreement). A lesser known, but important function of the SOE in Greece was to inform the Cairo headquarters of the movement of the German military aircraft that were serviced and repaired at the two former Greek military aircraft facilities in and around Athens. Eventually, the British Army occupied Athens and Piraeus in the aftermath of the German withdrawal, and fought a street-by-street battle to drive ELAS from these cities and impose an interim government under Archbishop Damaskinos. SOE's last act was to evacuate several hundred disarmed EDES fighters to Corfu, preventing their massacre by ELAS. Several resistance groups and Allied stay-behind parties operated in Crete after the Germans occupied the island in the Battle of Crete. SOE's operations involved figures such as Patrick Leigh Fermor, John Lewis, Harry Rudolph Fox Burr, Tom Dunbabin, Sandy Rendel, John Houseman, Xan Fielding and Bill Stanley Moss. Some of the most famous moments included the abduction of General Heinrich Kreipe led by Leigh Fermor and Moss – subsequently portrayed in the film Ill Met by Moonlight, and the sabotage of Damasta led by Moss. Albania had been under Italian influence since 1923, and was occupied by the Italian Army in 1939. In 1943, a small liaison party entered Albania from northwestern Greece. SOE agents who entered Albania then or later included Julian Amery, Anthony Quayle, David Smiley and Neil "Billy" McLean. They discovered another internecine war between the Communist partisans under Enver Hoxha, and the republican Balli Kombëtar. As the latter had collaborated with the Italian occupiers, Hoxha gained Allied support. SOE's envoy to Albania, Brigadier Edmund "Trotsky" Davies, was captured by the Germans early in 1944. Some SOE officers warned that Hoxha's aim was primacy after the war, rather than fighting Germans. They were ignored, but Albania was never a major factor in the effort against the Germans. SOE sent many missions into the Czech areas of the so-called Protectorate of Bohemia and Moravia, and later into Slovakia. The most famous mission was Operation Anthropoid, the assassination of SS-Obergruppenführer Reinhard Heydrich in Prague. From 1942 to 1943 the Czechoslovaks had their own Special Training School (STS) at Chicheley Hall in Buckinghamshire. In 1944, SOE sent men to support the Slovak National uprising. In March 1941 a group performing commando raids in Norway, Norwegian Independent Company 1 (NOR.I.C.1) was organised under leadership of Captain Martin Linge. Their initial raid in 1941 was Operation Archery, the best known raid was probably the Norwegian heavy water sabotage. Communication lines with London were gradually improved so that by 1945, 64 radio operators were spread throughout Norway. Most of the actions by the Danish resistance were railway sabotage to hinder German troop and material movements from and to Norway; however, sabotage on a much larger scale also occurred, especially by BOPA. In all the Danish resistance conducted 1,000 operations from 1942 and onwards. In October 1943 the Danish resistance also saved nearly all of the Danish Jews from certain death in German concentration camps. This was a massive overnight operation and is to this day recognised among Jews as one of the most significant displays of public defiance against the Germans. The Danish resistance assisted SOE in its activities in neutral Sweden. For example, SOE was able to obtain several shiploads of vital ball-bearings which had been interned in Swedish ports. The Danes also pioneered several secure communications methods; for example, a burst transmitter/receiver which transcribed Morse code onto a paper tape faster than a human operator could handle. In 1943 an SOE delegation was parachuted into Romania to instigate resistance against the Nazi occupation at "any cost" (Operation Autonomous). The delegation, including Colonel Gardyne de Chastelain, Captain Silviu Meţianu and Ivor Porter, was captured by the Romanian Gendarmerie and held until the night of King Michael's Coup on 23 August 1944. Abyssinia was the scene of some of SOE's earliest and most successful efforts. SOE organised a force of Ethiopian irregulars under Orde Charles Wingate in support of the exiled Emperor Haile Selassie. This force (named Gideon Force by Wingate) caused heavy casualties to the Italian occupation forces, and contributed to the successful British campaign there. Wingate was to use his experience to create the Chindits in Burma. The neutral Spanish island of Fernando Po was the scene of Operation Postmaster, one of SOE's most successful exploits. The large Italian merchant vessel Duchessa d'Aosta and the German tug Likomba had taken refuge in the harbour of Santa Isabel. On 14 January 1942, while the ships' officers were attending a party ashore thrown by an SOE agent, commandos and SOE personnel led by Gus March-Phillipps boarded the two vessels, cut the anchor cables and towed them out to sea, where they later rendezvoused with Royal Navy ships. Several neutral authorities and observers were impressed by the British display of ruthlessness. War in the Far East exhibit in the Imperial War Museum London. Among the collection are a Japanese Good Luck Flag, operational map (numbered 11), photographs of Force 136 personnel and guerillas in Burma (15), a katana that was surrendered to a SOE officer in Gwangar, Malaya in September 1945 (7), and rubber soles designed by SOE to be worn under agents boots' to disguise footprints when landing on beaches (bottom left). As early as 1940, SOE was preparing plans for operations in Southeast Asia. As in Europe, after initial Allied military disasters, SOE built up indigenous resistance organisations and guerrilla armies in enemy (Japanese) occupied territory. SOE also launched "Operation Remorse" (1944–45), which was ultimately aimed at protecting the economic and political status of Hong Kong. Force 136 engaged in covert trading of goods and currencies in China. Its agents proved remarkably successful, raising £77m through their activities, which were used to provide assistance for Allied prisoners of war and, more controversially, to buy influence locally to facilitate a smooth return to pre-war conditions. In view of the Russian menace, the situation in Italy, Central Europe and the Balkans and the smouldering volcanoes in the Middle East, I think it would be madness to allow SOE to be stifled at this juncture. In handing it over to the Foreign Office, I cannot help feeling that to ask Sir Orme Sergent [shortly to become Permanent Under-Secretary of State for Foreign Affairs] to supervise SOE is like inviting an abbess to supervise a brothel! But SOE is no base instrument, it is a highly specialized weapon which will be required by HMG whenever we are threatened and whenever it is necessary to contact the common people of foreign lands. Churchill took no immediate decision, and after he lost the general election on 5 July 1945, the matter was dealt with by the Labour Prime Minister, Clement Attlee. Selborne told Attlee that SOE still possessed a worldwide network of clandestine radio networks and sympathisers. Attlee replied that he had no wish to own a British Comintern, and closed Selborne's network down at 48 hours' notice. SOE was dissolved officially on 15 January 1946. Some of its senior staff moved easily into financial services in the City of London, although some of them had not lost their undercover mentality and did little for the City's name. Most of SOE's other personnel reverted to their peacetime occupations or regular service in the armed forces, but 280 of them were taken into the "Special Operations Branch" of MI6. Some of these had served as agents in the field, but MI6 was most interested in SOE's training and research staff. Sir Stewart Menzies, the head of MI6 (who was generally known simply as "C") soon decided that a separate Special Operations branch was unsound, and merged it into the general body of MI6. 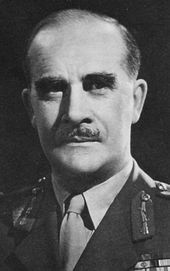 Gubbins, the last director, was not given further employment by the Army, but he later founded the Special Forces Club for former members of SOE and similar organisations. Although the wartime British government considered the activities of the SOE to be lawful, the German invaders, as in World War I and the War of 1870, argued that those engaging in resistance (local resistance fighters and the agents of foreign governments who supported them) were “bandits” and “terrorists”, maintaining that all Francs-tireurs (and said agents) were engaging in an illegal form of warfare, and, as such, had no legal rights. A view expressed by Fritz Sauckel, the General Plenipotentiary for Labour Deployment, making him the man in charge of bringing workers to the factories in Germany for forced labour, who demanded the flight of young French men to the countryside be stopped and called the maquis “terrorists”, “bandits” and “criminals” for their opposition to lawful authority. The mode of warfare encouraged and promoted by SOE is considered by several modern commentators to have established the modern model that many alleged terrorist organisations emulate. The Irish [thanks to the example set by Collins and followed by the SOE] can thus claim that their resistance provide the originating impulse for resistance to tyrannies worse than any they had to endure themselves. And the Irish resistance as Collins led it, showed the rest of the world a way to fight wars the only sane way they can be fought in the age of the Nuclear bomb. We must recognise that our response to the scourge of terrorism is compromised by what we did through SOE. The justification ... That we had no other means of striking back at the enemy ... is exactly the argument used by the Red Brigades, the Baader-Meinhoff gang, the PFLP, the IRA and every other half-articulate terrorist organization on Earth. Futile to argue that we were a democracy and Hitler a tyrant. Means besmirch ends. SOE besmirched Britain. Yet the moral contribution of secret war, which would have been impossible without the sponsorship of SOE and OSS, was beyond price. It made possible the resurrection of self-respect in occupied societies which would otherwise have been forced to look back on the successive chapters of their experience of the conflict through a dark prism; military humiliation, followed by enforced collaboration with the enemy, followed by belated deliverance at the hands of foreign armies. As it was, and entirely thanks to Resistance, all European nations could cherish their cadres of heroes and martyrs, enabling the mass of their citizens who did nothing, or who served the enemy, to be painted over in the grand canvas cherished in the perception of their descendants. Since the end of the war, the SOE has appeared in many films, comics, books, and television. ^ Foot 2000, p. 62. ^ a b "Violette Szabo & SOE". ^ Wilkinson & Astley 2010, pp. 33-34. ^ Foot 2000, p. 12. ^ Foot 2000, p. 293. ^ Atkin 2015, pp. Chapters 2-4. ^ Long, Christopher. "'Pat Line' – An Escape & Evasion Line in France in World War II". Christopher Long. Retrieved 23 August 2017. ^ Foot 2000, pp. 15-16. ^ Foot 1999, p. 17. ^ Dalton, Hugh (1986). The Second World War Diary of Hugh Dalton 1940-45. Jonathan Cape. p. 62. ISBN 022402065X. ^ a b c "article by Matthew Carr Author The Infernal Machine: A History of Terrorism". Thefirstpost.co.uk. Retrieved 1 June 2009. ^ a b Geraghty 2000, p. 347. ^ a b Wilkinson & Astley 2010, p. 76. ^ a b c d Foot 2000, p. 22. ^ a b Boyce & Everett 2003, p. 9. ^ Milton 2016, pp. 80-87, 163-167. ^ MacRae, Stuart (2011). "Winston Churchill's Toyshop: The Inside Story of Military Intelligence". Amberley. ISBN 978-1445603704. ^ Milton 2016, p. 89. ^ Foot 2000, p. 31. ^ Hastings 2015, p. 264. ^ Milton 2016, pp. 170-171. ^ Foot 2000, p. 32. ^ Foot 2000, pp. 24-25. ^ Milton 2016, p. 91. ^ Foot 2000, p. 152. ^ Boyce & Everett 2003, pp. 23-45. ^ Wilkinson & Astley 2010, p. 141. ^ Foot 2000, pp. 30-35. ^ Foot 2000, pp. 47, 148-156. ^ a b Foot 2000, pp. 40-41. ^ Stafford 2011, pp. 45-51. ^ Hastings 2015, pp. 260, 267. ^ Hastings 2015, p. 260. ^ Wilkinson & Astley 2010, p. 80. ^ Foot 2000, pp. 35-36. ^ Milton 2016, pp. 38,80,83. ^ Boyce & Everett 2003, pp. 233,238. ^ Foot 2000, p. 26. ^ Foot 2000, p. 243. ^ Wilkinson & Astley 2010, p. 98. ^ Boyce & Everett 2003, pp. 129-158. ^ Wilkinson & Astley 2010, pp. 141-145, 191-195. ^ Wilkinson & Astley 2010, pp. 90-91. ^ Wilkinson & Astley 2010, pp. 138-141. ^ Foot 2000, p. 87. ^ a b Wilkinson & Astley 2010, p. 95. ^ Wallace & Melton 2010, p. 7. ^ Hastings 2015, p. 292. ^ a b Boyce & Everett 2003, p. 13. ^ Boyce & Everett 2003, p. 15. ^ Turner 2011, p. 40-42. ^ Boyce & Everett 2003, p. 14. ^ Turner 2011, p. 22. ^ Boyce & Everett 2003, p. 96. ^ Boyce & Everett 2003, p. 97. ^ Boyce & Everett 2003, p. 299-300. ^ Boyce & Everett 2003, pp. 97-98. ^ Foot 2000, p. 65. ^ Foot 2000, p. 169. ^ Foot 2000, pp. 57, 71. ^ Foot 2000, pp. 60-62. ^ Foot 1999, pp. 109-110. ^ Foot 1999, p. 108. ^ Wilkinson & Astley 2010, pp. 29, 115. ^ Foot 2000, pp. 109-110. ^ Foot 1999, pp. 108-111. ^ Foot 1999, p. 106. ^ Brisson, Richard. "Georges Bégué, MC". campx.ca. Retrieved 20 April 2018. ^ Foot 1999, pp. 99, 142-143. ^ Foot 1999, p. 160. ^ Foot 2000, p. 78. ^ Foot 2000, p. 77. ^ Seaman 2006, p. 27. ^ Foot 2000, p. 73. ^ Milton 2016, p. 80. ^ Turner 2011, p. 17-19. ^ Norton-Taylor, Richard (28 October 1999). "How exploding rats went down a bomb and helped British boffins win the Second World War". London: The Guardian. Retrieved 23 August 2017. ^ Foot 2000, pp. 82-83. ^ Boyce & Everett 2003, pp. 147-153. ^ "Welfreighter". Welfreighter.info. Archived from the original on 22 September 2005. Retrieved 23 August 2017. ^ Boyce & Everett 2003, pp. 53-54. ^ Boyce & Everett 2003, pp. 159-165. ^ Boyce & Everett 2003, pp. 166-167. ^ Boyce & Everett 2003, p. 110. ^ Wilkinson & Astley 2010, p. 84. ^ Foot 2000, p. 94. ^ Foot 2000, p. 95. ^ Foot 2000, p. 102. ^ Seymour-Jones 2013, p. 5. ^ a b Coxon, David (19 May 2016). "Brave Percy was the Wartime Pick of the RAF Bunch". Bognar Regis Observer. Retrieved 1 August 2017. ^ "161 Squadron History". Royal Air Force. Archived from the original on 13 August 2017. Retrieved 11 August 2017. ^ Verity 1978, pp. 17-18. ^ Foot 2000, pp. 95, 101-103. ^ Foot 2000, pp. 95-96. ^ Foot 2000, pp. 103-104. ^ Foot 2000, p. 214. ^ "The British Prosper Spy Network: Destroyed to Protect D-Day?". ^ Foot 2000, p. 44. ^ Foot 2000, pp. 222-223. ^ a b Milton 2016, p. 293. ^ "Grojanowski Report" (PDF). Yad Vashem. Retrieved 24 August 2017. ^ Hooiveld 2016, p. 199. ^ Hooiveld 2016, p. 228. ^ Day, Peter (29 April 2003). "How secret agent Hardy Amies stayed in Vogue during the war". London (UK): The Telegraph. Retrieved 23 August 2017. ^ Berrettini, Mireno (2008). "Set Europe Ablaze! Lo Special Operations Executive e l'Italia 1940-1943". Italia Contemporanea. Italy. 252-253: 409–434. ^ Berrettini, Mireno (2010). ""To set Italy Ablaze!" Special Operations Executive e i reclutamenti di agenti tra Enemy Aliens e Prisoners of War italiani (Regno Unito, Stati Uniti e Canada)". Altreitalie. Italy. 40: 5–25. ^ Berrettini, Mireno (1955). "Diplomazia clandestina: Emilio Lussu ed Inghilterra nei documenti dello Special Operations Executive, saggio introdutivo a E. LUSSU, Diplomazia clandestina". Firenze. Italy: 7–18. ^ Berrettini, Mireno (2007). "Le missioni dello Special Operations Executive e la Resistenza italiana". QF Quaderni di Farestoria. Italy. 3: 27–47. ^ Berrettini, Mireno (2009). "La Special Force britannica e la "questione" comunista nella Resistenza italiana". Studi e ricerche di storia. Italy. 71: 37–62. ^ Ball 2010, p. 104. ^ Field, Gordon-Creed & Creed 2012. ^ Foot 2000, p. 236. ^ "Secret War Exhibition, Imperial War Museum, London,". ^ "Autonomous | Operations & Codenames of WWII". codenames.info. Retrieved 8 June 2017. ^ Milton 2016, pp. 128-145. ^ Berg, Sanchia (28 August 2008). "Churchill's top secret agency". BBC Radio 4 - Today. Retrieved 24 August 2017. ^ Wilkinson & Astley 2010, pp. 221-223. ^ Hastings 2015, p. 537. ^ Wilkinson & Astley 2010, p. 232. ^ Foot 2000, p. 245. ^ a b Foot 2000, p. 246. ^ a b Berg, Sanchia (13 December 2008). "Churchill's secret army lived on". BBC Radio 4 - Today. Retrieved 24 August 2017. ^ Wilkinson & Astley 2010, pp. 238-240. ^ Crowdy 2007, p. 26. ^ Ousby 2000, pp. 264-5. ^ Geraghty 2000, p. 346. ^ Hastings 2015, p. 557. Allan, Stuart (2007). Commando Country. National Museums of Scotland. ISBN 978-1-905267-14-9. Covers Commando and SOE training in the Highlands of Scotland. It describes the origins of the irregular warfare training at Inverailort House under MI(R) then the move of SOE training to the nearby Arisaig and Morar area. Bailey, Roderick (2014). Target Italy: The Secret War against Mussolini, 1940–1943. Faber & Faber. ISBN 978-0571299188. Berrettini, Mireno (2010). La Gran Bretagna e l'Antifascismo italiano. Diplomazia clandestina, Intelligence, Operazioni Speciali (1940–1943). Italy: Le Lettere. ISBN 978-8860873729. Boyce, Frederic; Everett, Douglas (2003). SOE: The Scientific Secrets. Sutton Publishing. ISBN 0-7509-4005-0. Crowdy, Terry (2008). SOE Agent: Churchill's secret warriors. Oxford (UK): Osprey Publishing. ISBN 978-1846032769. Cruikshank, Charles (1983). SOE in the Far East. Oxford University Press. ISBN 0-19-215873-2. Official history commissioned 1980, companion to Foot, SOE, with access to papers (though researched 20 years later than Foot's book, when many participants had died, see Preface). Cruikshank, Charles (1986). SOE in Scandinavia. Oxford University Press. ISBN 0-19-215883-X. Foot, M. R. D. (1999). The Special Operations Executive 1940–1946. Pimlico. ISBN 0-7126-6585-4. Contains an overview of SOE and its methods. Foot won the Croix de Guerre as a SAS operative in Brittany, later becoming Professor of Modern History at Manchester University and an official historian of the SOE, with multiple books on the topic. Foot, M. R. D. (2000). SOE in France. Frank Cass. ISBN 0-7146-5528-7. MacKay, Francis (2005). Overture to Overlord - The Preparations of D-Day: North West Europe (Special Operations World War Two). Barnsley, UK: Pen and Sword. ISBN 978-0850528923. Hooiveld, Jelle (2016). Dutch Courage: Special Forces in the Netherlands 1944–45. Stroud: Amberley Publishing. ISBN 978-1-4456-5741-7. Mackenzie, William (2000). The Secret History of SOE: Special Operations Executive 1940–1945. BPR Publications. ISBN 0-9536151-8-9. Written at the end of WW2 for the British Government's own use without any intention of publication—in effect a confidential "official history". Orpen, Neil D. (1984). Airlift to Warsaw: The Rising of 1944. Norman, OK (US): University of Oklahoma. ISBN 978-0806119137. Rigden, Denis (2001). SOE Syllabus: Lessons in Ungentlemanly Warfare World War II. Secret History Files, National Archives. ISBN 1-903365-18-X. Authentic training manuals used to prepare agents covering the clandestine skills of disguise, surveillance, burglary, interrogation, close combat, and assassination. Also published as How to be a Spy. Stafford, David (2011). Mission Accomplished: SOE and Italy 1943–45. The Bodley Head. ISBN 978-1-84792-065-2. Stafford, David (2000). Secret Agent: the true story of the Special Operations Executive. BBC Worldwide Ltd. ISBN 0-563-53734-5. Steinacher, Gerald (2002). "Passive Grumbling, rather than Resisting: the Special Operations Executive (SOE) in Austria 1940–1945". International Journal of Intelligence and Counterintelligence. 15: 211–221. doi:10.1080/08850600252869038. Turner, Des (2011). SOE's Secret Weapons Centre: Station 12. Stroud, UK: The History Press. ISBN 978-0752459448. Valentine, Ian (2006). Station 43: Audley End House and SOE's Polish Section. Sutton Publishing. ISBN 0-7509-4255-X. Walker, Jonathan (2008). Poland Alone: Britain, SOE and the Collapse of the Polish Resistance, 1944. The History Press. ISBN 978-1-86227-474-7. Wallace, Robert; Melton, H. Keith (2010). Spycraft: inside the CIA's top secret Spy Lab. London: Bantam. ISBN 978-0553820072. Warren, Harris G. (1947). Special Operations: AAF Aid To European Resistance Movements, 1943-1945 (U.S. Air Force Historical Study No. 121). US Army Air Force. Wilkinson, Peter; Astley, Joan Bright (2010). Gubbins and SOE. Barnsley: Pen & Sword Military. ISBN 978-1-84884-421-6. Bailey, Roderick (2008). Forgotten Voices of the Secret War. Ebury Press. ISBN 978-0-09-191851-4. Baden-Powell, Dorothy (2004). They Also Serve: an SOE Agent in the WRNS. Robert Hale Ltd. ISBN 978-0-7090-7715-2. Chapman, Freddie Spencer (1949). The Jungle is Neutral. Chatto and Windus. Chapman set up first jungle warfare school and operated in Malaya behind Japanese lines. Key figure in SOE in Far East. Davidson, Basil (1980). Special Operations Europe: Scenes from the Anti-Nazi War. Victor Gollancz. ISBN 0-575-02820-3. Davidson, Basil (1946). Partisan Picture. Bedford Books. Sir Patrick Leigh Fermor. The 11th Day. Archangel Films, 2006. Firsthand documentary account of the kidnapping of Major General Heinrich Kreipe, the German army commander on Crete. Howarth, Patrick (1980). Undercover. Routledge & Kegan Paul. ISBN 0-7100-0573-3. Covers the stories of a number of operatives, many known personally by Howarth, who was one of SOE's founding members responsible for several years for organising agent training in UK. Contains a seven-page bibliography of histories and memoirs. Howarth, David Armine (1950). The Shetland Bus. Thomas Nelson and Sons Ltd.
Hue, André; Southby-Tailyour, Ewen (2005). The Next Moon: the remarkable true story of a British agent behind the lines in wartime France. Penguin. ISBN 0-14-101580-2. First hand story of agent dropped into Brittany to organise resistance activities before and after D-Day. MacLean, Fitzroy (1991). Eastern Approaches. Penguin. ISBN 0-14-013271-6. Author witnessed SOE's campaign with Yugoslav partisans as Churchill's representative to Tito. Marks, Leo (1998). Between Silk and Cyanide: A Codemaker's Story 1941–1945. Harper Collins. ISBN 0-00-255944-7. Marks was the Head of Codes at SOE. He gives an introduction to codes, their practical use in the field, and his struggle to improve encryption methods. Accounts of agents including Noor Inayat Khan, Violette Szabo, and a great deal of information on his friend F. F. E. Yeo-Thomas are included. Moss, William Stanley (1950). Ill Met by Moonlight. Harrap. Firsthand account of Moss and Patrick Leigh Fermor's kidnapping of Major General Heinrich Kreipe, the German army commander on Crete. Later turned into a film of the same title. Ousby, Ian (2000), The Ordeal of France, 1940–1944, New York: Cooper Square Press, ISBN 978-0815410430 . Rootham, Jasper (1946). Miss-Fire. Chatto & Windus. Account of the SOE's mission to Yugoslavia in support of Draža Mihailović and the Chetniks. Smiley, David (1984). Albanian Assignment. Sphere Books Ltd. ISBN 0-7221-7933-2. Account of SOE's missions to Albania. Sweet-Escott, Bickham (1965). Baker Street Irregular. London: Methuen & Co. Ltd.
Verity, Hugh (1978). We Landed by Moonlight. Shepperton, Surrey: Ian Allan Limited. Wake, Nancy (1986). The White Mouse: the autobiography of the woman the Gestapo called The White Mouse. Macmillan. ISBN 978-0-333-40099-9. Account of a female SOE field agent's experiences in the F Section. Walters, Anne-Marie (2009). Moondrop to Gascony. Wiltshire: Moho Books. ISBN 978-0-9557208-1-9. Account of the author's activities as courier with F Section's "Wheelwright" network. Wilkinson, Peter; Foot, M. R. D (2002). Foreign Fields: The Story of an SOE Operative. I.B.Tauris. ISBN 978-1860647796. Cornioley, Pearl Witherington (2015). Code Name Pauline: Memoirs of a World War II Special Agent. Chicago (US): Chicago Review Press. ISBN 978-1613731581. Account of a courier who helped divide the F-Section's Stationer network after Maurice Southgate's arrest one month prior to D-Day and became the organiser of the Marie-Wrestler network. Introductions, notes. Atkin, Malcolm (2015). Fighting Nazi Occupation: British Resistance 1939–1945. Barnsley: Pen and Sword. ISBN 978-1-47383-377-7. Ball, Simon (2010). The Bitter Sea: The Brutal World War II Fight for the Mediterranean. New York (US): Harper Press. ISBN 978-0007203055. Binney, Marcus (2003). The Women Who Lived For Danger. Harper Collins. ISBN 0-06-054087-7. Christie, Maurice A. (2004). Mission Scapula SOE in the Far East. London (UK). ISBN 0-9547010-0-3. A true story about an ordinary soldier (Arthur Christie) seconded into MI5 and sent on a mission to Singapore just before it fell. With Freddy Spencer-Chapman. Written by Arthur Christie's son Maurice A. Christie: "The wartime memories of Arthur Christie, written in the first person by his son Maurice A. Christie. Arthur Christie credited as author on cover." Crowdy, Terry (2007), French Resistance Fighter France's Secret Army, London: Osprey, ISBN 0-307-40515-X . Dear, Ian (1996). Sabotage and Subversion. Arms and Armour. ISBN 0-304-35202-0. General chapters on origins, recruitment and training, and then describes in detail thirteen operations in Europe and around the world, some involving the OSS. Escott, Beryl (1991). A Quiet Courage: the story of SOE's women agents in France. Patrick Stevens Ltd. ISBN 978-1-85260-289-5. Franks, Normal (1976). Double Mission: Fighter Pilot and SOE Agent, Manfred Czernin. London (UK): William Kimber. ISBN 0-7183-0254-0. Fuller, Jean Overton. The Starr Affair. Tells the story of John Renshaw Starr. Field, Roger; Gordon-Creed, Geoffrey; Creed, N. (2012). Rogue Male: Sabotage and Seduction Behind German Lines with Geoffrey Gordon-Creed, DSO, MC. London (UK): Coronet. ISBN 978-1444706352. Gunston, Bill (1995). Classic World War II Aircraft Cutaways. Oxford (UK): Osprey Publishing. ASIN B01MY268FU. Helm, Sarah (2005). A Life in Secrets: the story of Vera Atkins and the lost agents of SOE. London (UK): Little, Brown and Co. ISBN 0-316-72497-1. Hodgson, Lynn-Philip (2002). Inside Camp X (3rd ed.). Port Perry, Ont. : Blake Books Distribution Ltd. ISBN 978-0968706251. Jones, Liane (1990). Mission Improbable: salute to the Royal Air Force women of Special Operations Executive in wartime France. Bantam Press. ISBN 978-0-593-01663-3. Le Chene, Evelyn (1974). Watch for Me by Moonlight. London: Corgi. Based on "snipets from the past" written down by Robert Burdett (formerly Robert Boiteux), edited by Evelyn Le Chene, the wife of Pierre Le Chene, Burdett's wartime radio operator. Marshall, Bruce (2000). The White Rabbit. Cassell Military Paperbacks. ISBN 0-304-35697-2. Famous biography of Wing Commander Yeo-Thomas who made secret trips to France to meet senior Resistance figures. Story of capture, torture and escape, written as told by "Tommy" to Marshall (who was himself on the HQ staff of RF section). McNab, Duncan (2011). Mission 101. Pan Macmillan (Australia). Reissued by The History Press, 2012. Mears, Ray (2003). The Real Heroes of Telemark: the true story of the secret mission to stop Hitler's atomic bomb. Hodder & Stoughton. ISBN 0-340-83015-8. In association with a three part BBC TV series, Ray Mears followed the route taken in 1943 along with some present day members of the Royal Marines and the Norwegian Army. Minney, R.J. (1956). Carve Her Name with Pride. London (UK): Newnes. Tells the story of Violette Szabo (a film of the same name was based on the book). Palmer, Mike. S.O.E. CD1 - The Life and Times of Sir Frank Nelson (1st ed.). Palmridge Publishing. Perrin, Nigel (2008). Spirit of Resistance: The Life of SOE Agent Harry Peulevé DSO MC. Pen and Sword. ISBN 978-1-84415-855-3. Biography of the F Section agent Harry Peulevé, who undertook two missions in France and was one of the few to escape Buchenwald concentration camp. Saward, Joe (2006). The Grand Prix Saboteurs. Morienval Press. ISBN 978-0-9554868-0-7. Seaman, Mark (1997). Bravest of the Brave: true story of Wing Commander Tommy Yeo-Thomas – SOE Secret Agent Codename, the White Rabbit. Michael O'Mara Books. ISBN 978-1-85479-650-9. Seaman, Mark (2006). Special Operations Executive: a new instrument of war. Routledge. ISBN 0-415-38455-9. Seymour-Jones, Carole (2013). She landed by Moonlight. London: Hodder & Stoughton. ISBN 978-1-444-72460-8. Stevenson, William (2006). Spymistress: the Life of Vera Atkins, the Greatest Female Secret Agent of World War II. Arcade Publishing. ISBN 978-1-55970-763-3. Biography of Vera Atkins, of whom James Bond creator Ian Fleming said, "In the real world of spies, Vera Atkins was the boss." Tickell, Jerrard (1949). Odette: the story of a British agent. London: Chapman & Hall. Geraghty, Tony (2000). The Irish War: The Hidden Conflict Between the IRA and British Intelligence. JHU Press. ISBN 9780801864568. Hastings, Max (2015). The Secret War: Spies, Codes and Guerillas 1939–45. London: William Collins. ISBN 978-0-00-750374-2. Horn, Bernd (2016). A Most Ungentlemanly Way of War. Toronto: Dundurn. ISBN 9781459732797. Wikimedia Commons has media related to Special Operations Executive. Dudley Maurice Newitt. Director of Scientific Research. SOE. Imperial War Museum (London) IWM Secret War exhibition. "Mission Scapula" Special Operations Executive in the Far East. Roll of honour, awards and images. "Para-Military Training in Scotland During World War 2". Land, Sea & Islands Centre. 2001. An account of SOE training in the Arisaig area.